So after doing this cleanse for almost three weeks now and as I head towards the finish line, I would have to say that by far, the liquid breakfast portion of The Clean Program is the easiest, most enjoyable and convenient part of this entire experience. Equipped with my $15 Hamilton Beach Personal Blender, and a few key ingredients, I never really had to worry too much about what I was going to do for breakfast. Honestly, these smoothies kept me really full and I always felt like I was good and ready to go for the day. As I finish the cleanse, I know for sure smoothies for breakfast is one thing I'm going to keep in my life. *be sure to remember the elimination diet doesn't allow for strawberries, bananas & oranges! Theses were just my own go-to ingredients because it made it so simple for me to just toss in and blend. For a full list, you can check out The Clean Program recipe guide. So after making the same smoothie over and over again, I realized I had to change things up a bit. One of the things that I was surprised by was how good greens actually tastes in smoothies. 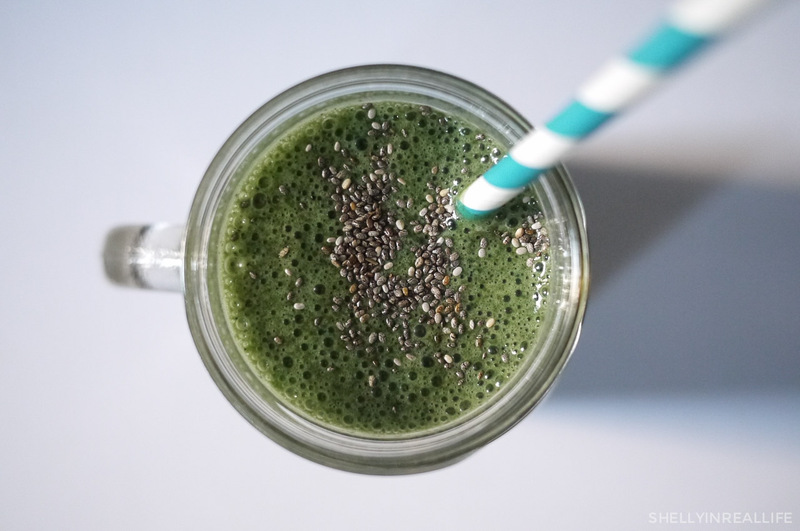 Prior to this cleanse, the thought of leafy vegetables in my smoothie really freaked me out. My best discovery is that blended kale and spinach actually adds some richness to my drinks and of course adds the added benefit of fiber which will fill you up and help you go "eliminate". With that said, one of my favorite smoothies was my Avocado Mango and Kale smoothie. The Avocado helps make this smoothie so smooth and creamy while the almond butter and mango helps add some sweetness to the mix. I loved this! Blend till smooth & drink! Add Flaxseed. Some things that I've learned are key to having your shake keep you full is flaxseed meal. This really helps give the fiber portion of your smoothie a boost so I made sure I was either throwing greens or flax seed in my drinks. Keep in mind that flaxseed gets slimy once added to water, so if you let your smoothie sit for a while, it will get slimy - so no, you're not just imagining it. Aloe Vera for digestion. Another thing I discovered early on is how disgusting aloe vera juice tastes. I've had the sweet asian aloe vera drinks before but boy, I'll tell you this is not the same. However, aloe vera juice helps with your digestive system and helps keep you not constipated, so I always make sure to put in 1-2 teaspoons of this. The first time I made smoothies, I added a whole tablespoon and the taste was disgusting and overwhelming. This is honestly one of the best habits that I've built up on the cleanse. Instead of scarfing down a bagel loaded with cream cheese and food coma-ing my way through till lunch, this alternative has kept me full, energised and ready to go for my day. So for those of you who are thinking about starting SOME type of diet, I highly recommend this as an easy way to start adding some guaranteed nutrients to your day.